Take the journey to Jabba's Palace! 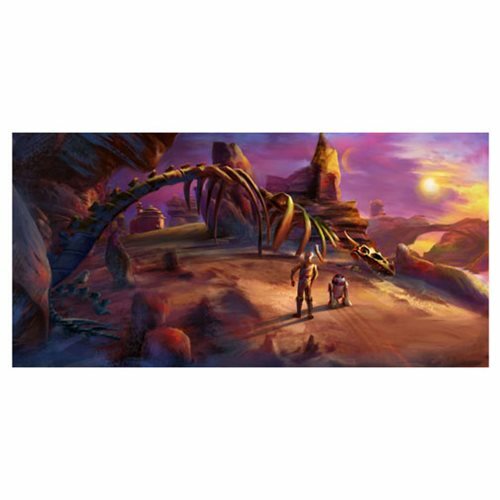 This Star Wars Road to Jabba's Palace Canvas Giclee Print is a beautiful rendition depicting the treacherous expedition braved by droids C-3PO and R2-D2 on planet Tatooine. A limited edition of 150 hand-numbered pieces that have been printed on canvas and signed by artist Guy Vasilovich, this beautiful giclee measures 30-inches wide x 15-inches tall!